Do you have trouble motivating yourself to get up and walk around during the day? It’s especially a problem for those of us who work sitting at a desk, looking at a screen. There is an effective, low-cost solution. Researchers from Indiana University find that wearing a pedometer that tracks daily physical activity can make you sit less, move more and maybe even lose a few pounds. Volunteers aged 40 to 66 years old wore a $30 pedometer every day for 12-weeks, and downloaded their data once a week. They were able to see their patterns of movement on a graph. During the periods they showed no leg movements, they were urged to be more active, and they also got exercise and nutrition tips. It worked: Over the course of the study, the participants were much more physically active, resulting in a mean weight drop among the men and women of nearly 2.5 pounds. It’s important because even if you work out regularly, sitting for long periods can be bad for your health. 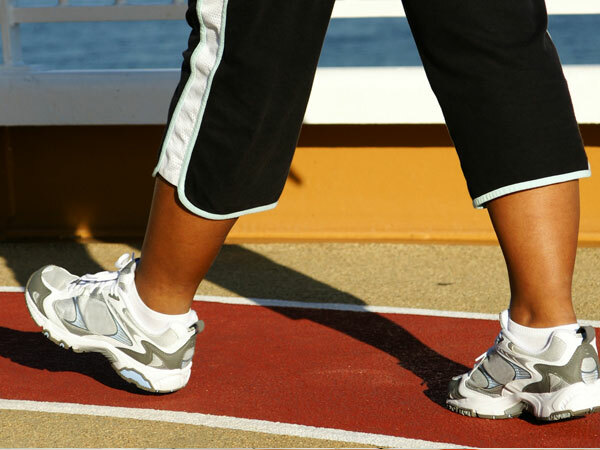 The researchers say using a pedometer is an easy inexpensive way to reach a lot of people.